The Go-Giver tells the story of an ambitious young man named Joe who yearns for success. Joe is a true go-getter, though sometimes he feels as if the harder and faster he works, the further away his goals seem to be. Desperate to land a key sale at the end of a bad quarter, he seeks advice from the enigmatic Pindar, a legendary consultant referred to by his many devotees sim­ply as the Chairman. Over the next week, Pindar introduces Joe to a series of “go-givers”: a restaurateur, a CEO, a financial adviser, a real estate broker, and the “Connector” who brought them all together. 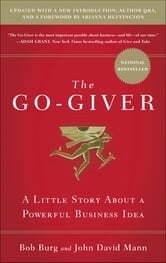 Pindar’s friends teach Joe the Five Laws of Stratospheric Success and help him open himself up to the power of giving. Joe learns that changing his focus from getting to giving—putting others’ interests first and continually adding value to their lives—ultimately leads to unexpected returns. 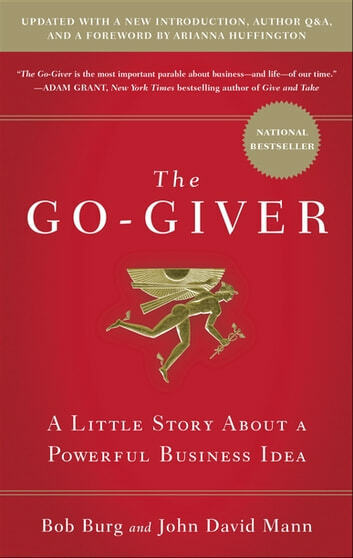 Nearly a decade since its original publication, the term “go-giver” has become shorthand for a defining set of values embraced by hundreds of thousands of people around the world. Today this timeless story continues to help its readers find fulfillment and greater success in business, in their personal lives and in their communities. This expanded edition includes the text of the original business parable, together with a foreword by Arianna Huffington, a new intro­duction, a discussion guide, and a Q&A with the authors. Finally, our Business Intuition is confirmed! The concepts explained in this book should be mandatory reading in all the schools in the country. They apply to business but also in all that we do in our personal lives. If we all started to give and to cooperate, to collaborate extensively, and to put the others before us, all would change for the good. I would encourage everyone to give these theories a try and get back to the authors of the book with sensitive evidence of the results. Thank you, Bob!!! Linda mensagem. Livro instigante e fácil de ler. Conteúdo simples, porém profundo.